Kermode bear (Ursus americanus kermodei, black phase) with foot on piece of salmon, Gribbell Island, British Columbia. Happy New Year to all my SmugMug friends! 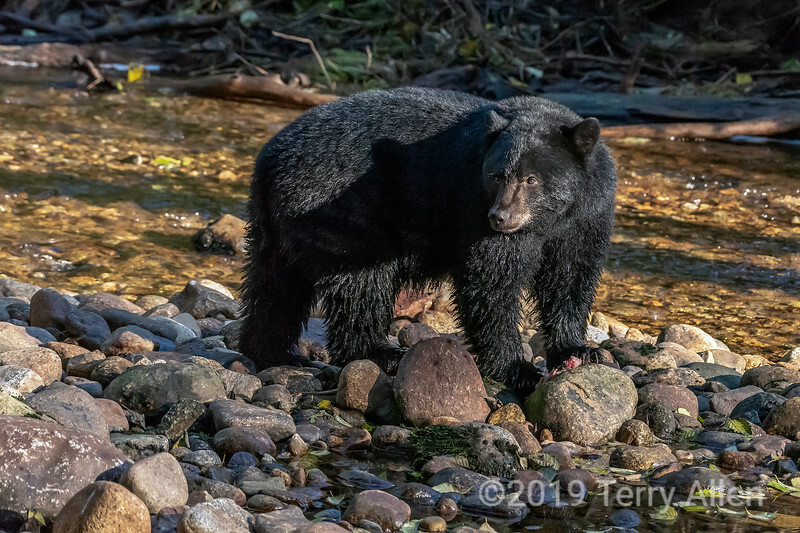 You did a terrific job capturing the details and the lighting of this Black Bear. Thanks a lot, Judy, John, TruImages and Howard! Excellent capture of the bear! Wonderful picture! Happy New Year Terry and We thank you on the move. Another superb shot! Happy new year ! Outstanding capture, great light! Happy New Year! Many thanks for the nice comments, Gene, Rick, Linda, God's Child, Wayne, Greg&Rose and Bill!